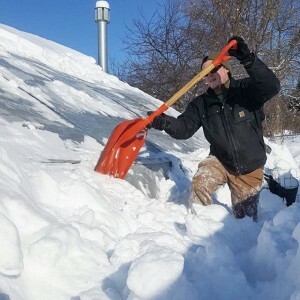 From a brutal polar vortex in November to a whiteout blizzard in April, winters in Minnesota seem to be more unpredictable than ever. This winter has been no different, testing our ice road driving and shoveling abilities with record February snowfall in the Twin Cities. It may not seem like spring is right around the corner, but we are firing up the heaters in the germination greenhouse and sowing seeds to get a head start on the growing season. 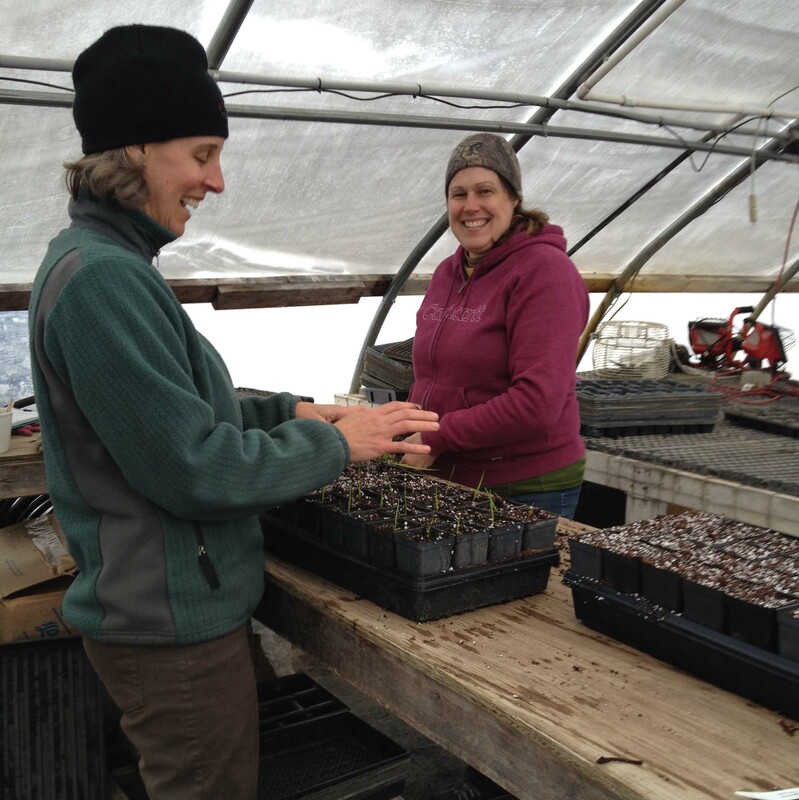 Regardless of what winter throws at us, Natural Shore staff is taking on the challenges of getting the greenhouse up and running. This involves filling water tanks, loading germination trays with soil, setting up heaters and heating mats, patching holes in greenhouse plastic, fixing sprinkler systems, organizing seed, and all odds and ends that need to come together to start the year off right. This also included moving ton and tons of February snow from around the greenhouse entrance and walls. In the summertime, the higher sun angle and the greenhouse effect keeps the growing space hot and humid, but that can be more challenging in late winter. Below-zero overnight temperatures and windy conditions make it difficult for the heaters to keep up and stay ignited. To ensure successful germination and plant survival, we just installed a more powerful heater and a wireless thermometer in the greenhouse. The wireless thermometer allows for temperature tracking over Wi-Fi and automatically sends alerts when the temperature drops below a certain point. 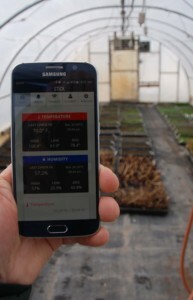 The smart technology is giving our greenhouse staff more peace of mind as we start out this growing season. We collect about 95% of the seed we use from our own restoration sites, so we know all of our plants originate from local genetic stock. This seed comes in a wide variety of sizes, colors, and textures. Some seed needs a period of cold stratification in order to germinate. That happens in one of our several refrigerators that are carefully set at the correct temperatures. 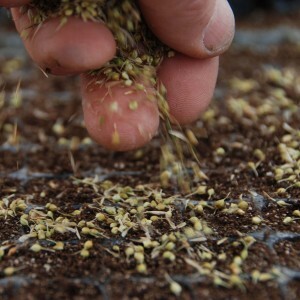 Once the seed has been cold stratified or scarified (with some of the seed coat scratched off), it is ready to sow. We grow close to 200 hundred native plant species, including a multitude of grasses, sedges, and forbs. With regular watering and warm temperatures in the greenhouse, it’s only a matter of time until the tiny seedlings break through the soil surface. Anticipation builds each day as new species germinate. It’s incredibly rewarding to see brown trays quickly turn into what looks to be a rectangle of green carpet or a wild chia pet. Species like wild lupine, horsemint, and black-eyed Susan are some of the quickest to germinate, while others like fox and Bebb’s sedge take more time and patience. 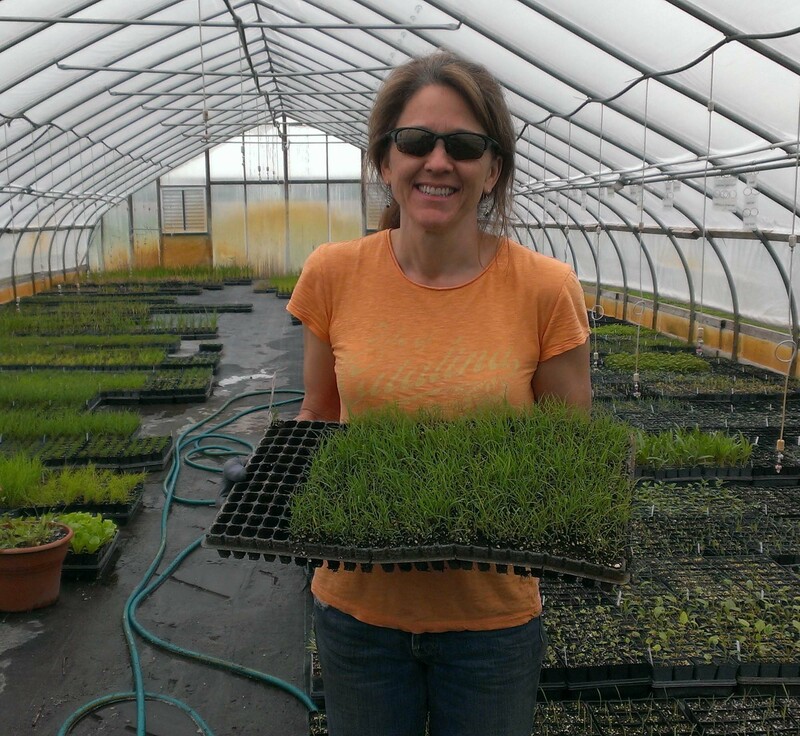 Part of the business involves keeping in-depth, detailed records of what happens in the greenhouse each day. Our notes include when species are sown and germinate, temperature variations, water pH, and many, many other observations, including any greenhouse hiccups along the way. Our records go back to the very beginning of the company, giving us important insights on how to give our native plants the very best start. If you are like us, dreaming of vibrant wildflowers and amazing wildlife, spring cannot come quickly enough. Let’s face it; this winter was a long one. The prospects of transplanting and dividing root masses give us hope that spring is just around the corner. Until the snow melts and the ground thaws, the warmth and lushness of the germination greenhouse will have to hold us over. By the time our retail nursery is open on May 15, we will have a multitude of robust native species ready for you to plant and enjoy. We have staff on call, ready to assist with your plant selections. If you are thinking of a big order (10s of flats) give us a call so we can custom grow for you. This will ensure that you will have all the species necessary to make your restoration a work of art. We really can’t wait to see you in May!